6.2) John Hooper Broome Morton (1791-1860) was a wide traveler, who was born on Jan. 16, 1791 in St. Mary’s County, worked in Washington DC, then New Orleans, moved his family to Arkansas, and was buried in Annapolis. He married twice, but his only descendants are from one daughter Elizabeth (Morton) (Jenkins) Gale. Named for his mother’s father, he usually signed as “John H.B. Morton”. He was commissioned a Captain in the Maryland Militia in 1815 and served until 1817. On 3 April 1816, he married Elizabeth Done (1797-1827), daughter of John Done and Patience Bayly, in Somerset Co., Maryland. 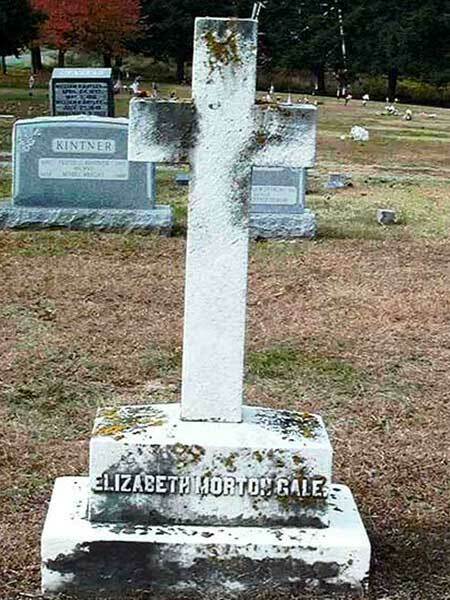 The Maryland Gazette records the death of his wife Elizabeth B. Morton on Nov. 8, 1827 “in the thirtieth year of her life” at the residence of her father “Col. John Done” in Annapolis, whom her father eulogizes in an accompanying obituary (Barnes’ abstract mistakenly calls Morton “Judge” but that word is nowhere in the article; Done however was a judge). That Annapolis newspaper also reported the death of Morton’s daughter Rebecca on Jan. 29, 1830 “in the seventh year of her age” at her grandfather’s house. Whether John H.B. Morton was in Annapolis or not during the second death is not clear, but by the 1830’s he was in New Orleans. His wife’s sister Sarah died on 10 Jan 1833 “in New Orleans, at the residence of her brother-in-law, John H.B. Morton” (Md. Gazette). It is possible that Sarah Done was taking care of little Elizabeth after her mother’s death. On 22 June 1833, John H. B. Morton married again, to Ann Fourniquet (da. of Louis Fourniquet), and a daughter Ann Rebecca Morton was born in New Orleans a year after their marriage. The 1840 Census lists him in New Orleans Ward 3, with two females (aged 40-49) and two girls (one aged 5-9 Ann Rebecca?, one aged 15-19 Elizabeth?) and 5 slaves. In 1842, the New Orleans City Directory records him living at the corner of Magazine and Orange Streets. He maintained the Episcopal faith of his parents. In April 1835, the list of communicants at the new mission Trinity Church included “Mrs. Ann Morton, Miss Maria Fourniquet” — but that parish only lasted a few months. Then John H. B. Morton was one of the first vestryman of St. Paul’s Episcopal Church, organized in New Orleans in 1836. He must also have had some land outside the city, because in 1837 he is found on the voter list for St. Tammany Parish north of New Orleans. —Crosby vs. Morton et al. (April 1839) — Louis I. Fourniquet (Morton’s father-in-law) in the firm of “Robertson & Branda, Norfolk, VA” had made a bill of payment to “Morton & Patterson” for $10,000, which John H.B. Morton had then endorsed over to Crosby. But it turned out that Robertson & Branda did not have the money in their account, so Crosby came against Morton. Morton was found liable. —Morton vs Crosby et al. (Feb. 1840) — From a previous case, Crosby had a judgment for $11,000 against John H.B. Morton on 19 June 1838 but a week later Henry purchased 6 slaves from John in a notarized transaction and quickly registered the sale. Unhappy with the brothers’ quick sale, in August Crosby had the sheriff seize the slaves to pay the judgment and Henry objected and brought the matter to trial. This time the Mortons won. From these cases we learn that John H.B. Morton was in a partnership “Morton & Patterson”, he had business dealings with his father-in-law, that he was dealing with high stakes and risky strategies, and that Henry had only recently arrived in New Orleans and was not always present there. Eventually, the family left New Orleans. His daughter Elizabeth and his brother Henry went back to Maryland. John and his wife and little daughter went to Arkansas, where in the 1840s he possessed land in Izard County (although he was still described in 1852 as “of New Orleans”). John H.B. Morton is found on the slave schedules of Izard County in 1857 (with 5 slaves), 1859 (with 8) and then his estate in 1861 (with 8). He died in May 1860 before the federal census so the Arkansas 1860 census records his widow Ann instead on his farm, with several of his relatives. Their daughter died in Arkansas in 1859. So twice J.H.B. Morton named a daughter for his mother Rebecca, but neither lived long enough to marry. John H.B. Morton’s tombstone in St. Anne’s Cemetery, Annapolis, says he “Died in Norfolk, Virginia, 31st of May, 1860 in the 70th year of his age.” Possibly he was in Norfolk on business seeing his father-in-law; possibly he died while on a trip to or from New Orleans and Maryland where his daughter Elizabeth Gale and his brother Henry lived. It is likely that he was buried in Annapolis because his first wife and their daughter were buried there, although no tombstones for them survive. 6.2.1) Mary Rebecca (1823-1830), she died in Annapolis at her grandfather John Done’s home. 6.2.2) Elizabeth (Morton) Jenkins/Gale was born about 1825 and probably grew up at the house of her grandfather Col. John Done in Annapolis, which would explain how she first married a naval man, Lt. Edmond Jenkins (born 19 Nov 1813 in Charles Co, son of John Joseph Jenkins). In the 1850 Census, as Elizabeth Jenkins, she was living in a boarding house in Baltimore owned by her relatives Mary and Juliet Done. In residence was an “Edward Jenkins 36 Lt.U.S.N”, probably her husband —the United Service Journal reports the death later that year on Sept. 26, 1850 in Baltimore of “Lieutenant Edmond Jenkins, late U. S. N., in the 26th year (sic) of his age”. He died without known offspring. Also living in the Done boarding house at the same time was the young lawyer Levin Gale from Cecil County, Md, son of the former congressman of the same name (the Gales and Dones had intermarried before). 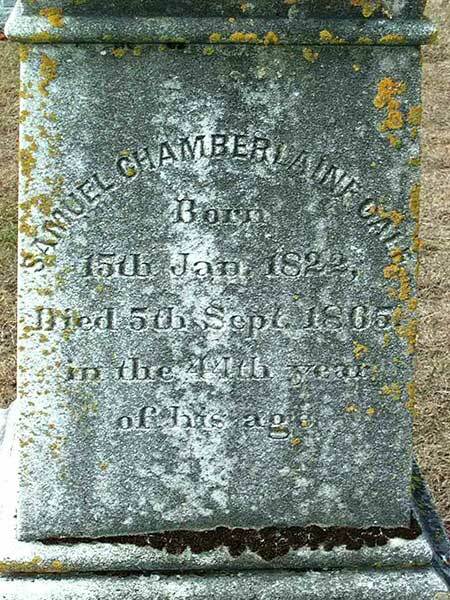 On 24 July 1856, the widow Elizabeth married Levin’s brother Samuel Chamberlain Gale, but he died 5 Sept 1865, leaving her with four children. The widow is found in Baltimore in the subsequent censuses living well; in 1870 she had $10,000 realty and $10,000 personalty. Her uncle Henry Edwin Morton left her a bequest. She is buried at St. Mark’s Cemetery in Cecil County with her second husband. Her children: John Morton Gale (marr. Emily —), George Littleton Gale (marr. Henrietta Buchanan), Henry E. Gale, and Elizabeth M. “Bessie” Gale (marr. Henry Onderdonk). 6.2.3) Ann Rebecca Morton was born in New Orleans in 1834 and died in Arkansas in 1859.